When Pirates of the Caribbean star Johnny Depp drank booze and took drugs, he would torment his wife, Amber Heard, a court filing alleges. The female actor who played a lead role in the 2018 fantasy film Aquaman claimed Depp’s addictions would turn him into a “monster” who would repeatedly hit her, rip out her hair, and choke her. She also claimed that her husband almost suffocated her. Heard revealed to the court that she first started dating Depp in early 2012. Depp would often forget his “delusional and violent” behaviour after sobering up, she claimed. However, she believed his many promises that he would change and improve. “I was wrong,” she said. One morning in May 2014, the couple boarded a private flight from Boston to Los Angeles. Depp, who already seemed to be drunk and holding a bottle of champagne, confronted Heard about a romantic movie scene she performed with James Franco one day earlier. 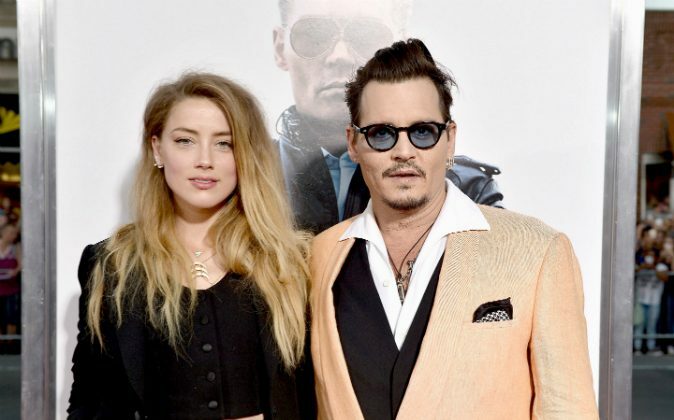 Shortly after the couple were wed in March 2015, Heard confronted Depp in Australia about his decision to spend three days taking the drug ecstasy. She described the most horrific and frightening moment of the three-day ordeal to be Depp holding her by the neck and slamming her against the countertop. Depp cut off his fingertip while breaking the phone and allegedly spent the whole night writing messages to Heard on the walls, using a mix of his own blood from his severed finger and an oil-based paint. “Johnny also urinated all over the house,” she said, adding Depp had to be hospitalized while she had a “busted lip, a swollen nose, and cuts all over my body.” She claims to still have scars on her arms and feet from the incident. In another incident in December 2015, Heard accused Depp of picking a fight with her at their Los Angeles apartment. She claimed that he slapped her, grabbed her by the hair and dragged her from the stairwell to the office, living room, kitchen, bedroom, and guest room. Depp then allegedly head-butted Heard in the face, causing her nose to bleed. Heard continued to live with Depp until May 2016 when Depp allegedly threw a phone at her face. “He wound up like a baseball pitcher and threw the phone in my face as hard as he could. I yelled, ‘You hit my face,’ and started to cry … Johnny grabbed my hair and started to slap, shake, and yank me around the room while I continued to scream,” she said. Heard was married to Depp for just 15 months before filing for divorce in May 2016. The divorce was finalized in January 2017. Lawyers acting for Depp denied that their client has ever abused Heard. Attorney Eric M. George, who is advising Heard, previously said in a statement the defamation lawsuit was a “frivolous action” to “silence” her.